The general idea of the government advance in the area is to put pressure on militants in Jobar and then to Isliate the district from Ayn Tarma. The control over the area of Zamalka and the nearby roads plays a key role in the strategy. The SAA and its allies liberated from US-backed militants a large area in the Damascus desert, including Tal Assadi, Tal Jarin, Tal Riyahayn and Bi’r Saboun. Thus, government forces have shortened frontline and further isolated the US garrison at At Tanf. 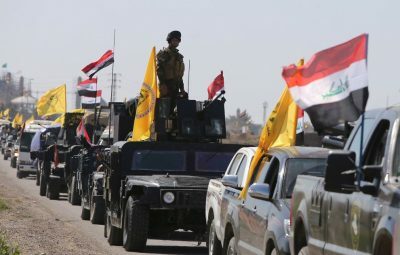 Tensions are growing between the US-led coalition and the Popular Mobilization Units (PMU) in Iraq. On August 7, from 40 to 70 PMU service members were reportedly killed and at least 6 units of the military equipment were destroyed as a result of the ISIS attack in the Akashat area at the Iraqi side of the At Tanf border crossing and the US military strikes that allegedly took place during the fighting. According to initial reports, the US-led coalition conducted at least 1 air strike on the positions of the PMU. Then, Kata’ib Sayyid al-Shuhada (the Martyrs of Sayyid Battalions, a PMU group deployed in the area) clarified that the US-led coalition had used the M142 High Mobility Artillery Rocket System from the At Tanf garrison. Kata’ib Sayyid al-Shuhada said that the coalition was aware that the military strikes hit the PMU and called on leaders of the PMU factions to hold a meeting in order to discuss the incident and to prepare an appropriate response to the aggression. The US-led coalition obviously denied any strikes on the PMU while pro-US sources speculated that the PMU just tried to blame the coalition for own losses in the battle against ISIS. The two sides already have complicated relations because they support different sides in the ongoing Syrian conflict and have different visions of the Iraqi future after the collapse of ISIS. PMU factions oppose the US willingness to determine the Iraqi foreign and internal policy and seek to re-establish Iraq as an independent regional player.